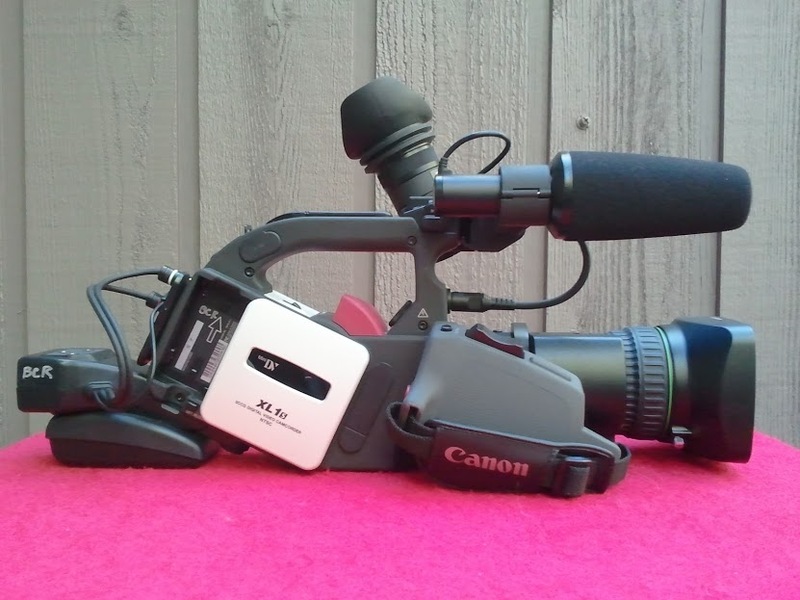 For sale is my Canon XL1s Standard Definition (SD) camera that records to MiniDV video tape. It can use multiple lenses and connects to a computer via FireWire. I’m asking $850 $600 for all of this. At this point I’ll negotiate the price. Make me an offer. I am the first owner of this camera. The XL1s is in very good condition and operates just as it did with I took it out of the box. I’ve only used it lightly for a few shoots. It sat in a bag in my smoke free home for several years not being used. It comes with a few items. When I got it I decided to buy a manual lens instead of an automatic one. Mainly because I wanted to shoot in a film style. (The XL1s can shoot in a 16:9 ratio.) There is a motor on the lens that will provide a smooth zoom. But you have to focus it yourself. It has served me well. A nice piece of glass. Also included is a like new PortaBrace camera bag. This bag is made for the XL1s. It’s light and does a good job protecting the camera. Its easy on your body with a soft shoulder strap pad. These bags are used by professionals and last forever. I also have two batteries for the XL1s. One standard size and one large. Both hold a charge. There is the battery charger power supply combo too. Plus a remote control for the camera that came with it. Then there is the Canon XL1s manual in good shape. I’m selling this only to buy other film equipment. I am a trustworthy seller who wants to find someone who will love using this equipment and pay much less than I did. A full set of pics with good details is available here. All of these items are offered for sale together. I will write SOLD on top of this post once it’s gone. I prefer to sell it locally. Best way to contact me is via contact form.